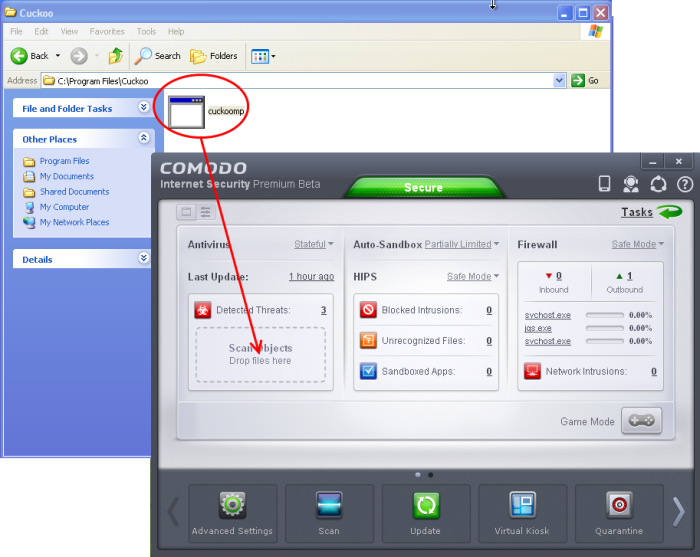 You can run an instant antivirus scan on any selected area like disks, folders files etc. You can also check a wide range of removable storage devices such as CDs, DVDs, external hard-drives, USB connected drives, digital cameras - even your iPod and mobile phones too!!! This is useful if you have just copied a file/folder or a program from an external device like a USB drive, another system in your network, or downloaded from the Internet. Click here for more details on running on-demand scans. 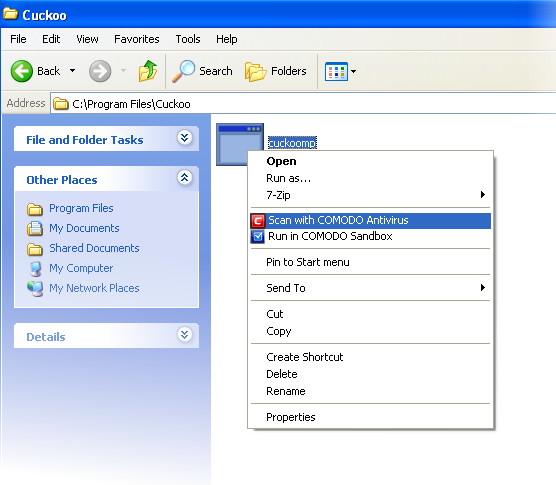 Drag and drop the item over the area marked 'Scan Objects' in the compact view of 'Home' screen in the CIS interface. 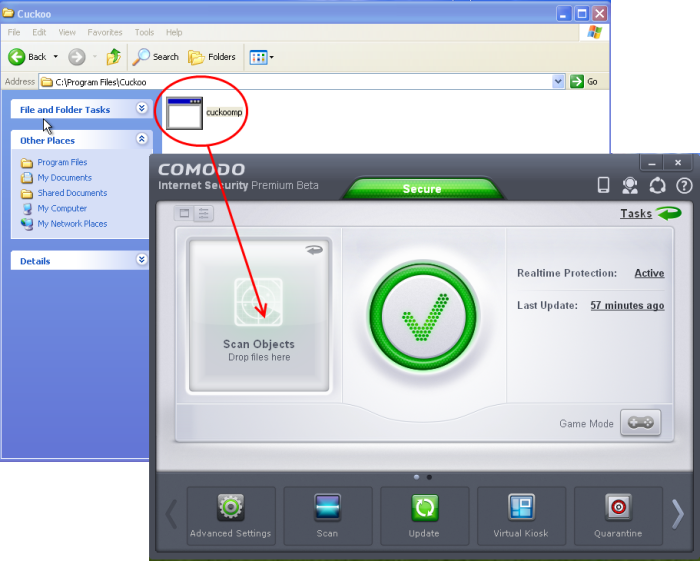 Drag and drop the item over the area marked 'Scan Objects' in the advanced view of 'Home' screen in the CIS interface. 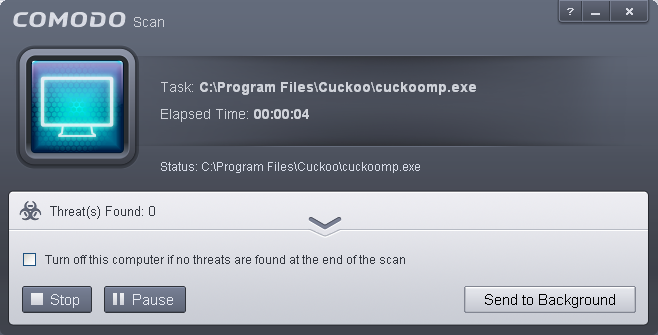 ...and on completion of scanning, the scan finished dialog be displayed with the number of threats found. Click here for more details to take action on the infected item(s).